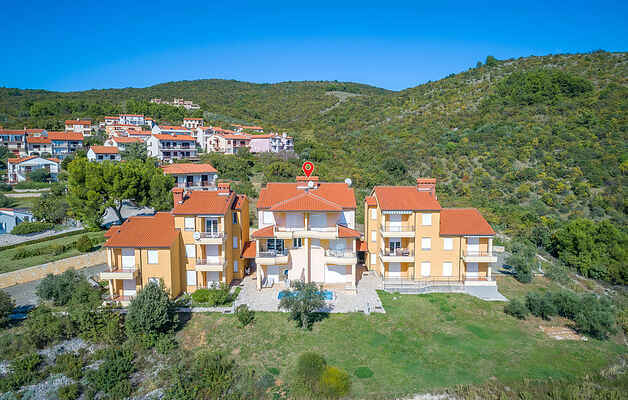 In an attractive tourist destination of Rabac, there is this tastefully decorated holiday apartment in an apartment building with a beautiful sea view. A terrace and a shared swimming pool on the property certainly will increase the level of comfort during your stay. Rabac is especially known for its beautiful natural beaches and crystal clear sea. Explore the coast of this place, with wonderful beaches and coves, and taste local specialties of an exquisite gastronomic offer. Visit the surrounding places and cities of Istria that abound in various cultural and entertainment events during the summer months.